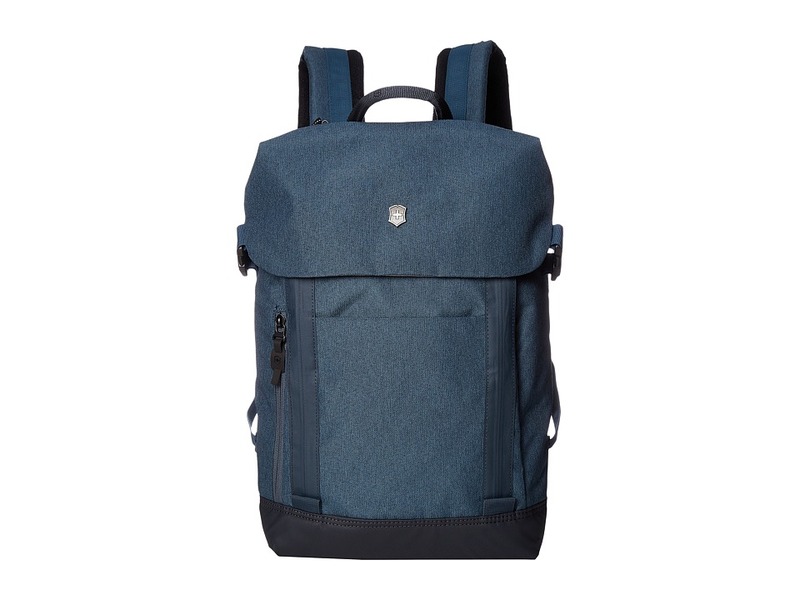 Organize your necessities in the handsome style of the Victorinox Rath Laptop Backpack. Earth-friendly N&amp#252wa exterior fabric with 100 percent genuine Napa leather accents. Top carry handle. Padded back panel with adjustable shoulder straps. Front exterior zip pocket opens to reveal a multi-purpose organizational panel. Two side exterior vertical-zip multi-purpose pouch pockets. Rear exterior hidden security pocket. Water-resistant zippers on exterior pockets to protect your belongings. Custom YKK zipper pulls feature a thumb groove inspired by the Swiss Army Knife. Padded rear compartment holds up to a 17 laptop. 10 pocket holds a tablet or eReader. Premium twill lining in interior of main pockets. Swiss Tracker Bag Tracking Program helps reunite you with your bag anywhere in the world should it ever be lost. Imported. Measurements: Bottom Width: 12 in Depth: 7 in Height: 18 1 2 in Strap Length: 34 in Strap Drop: 14 in Handle Length: 9 in Handle Drop: 1 in Weight: 3 lbs 2.4 oz Proposition 65 WARNING: This product contains chemicals known to the State of California to cause cancer and birth defects or other reproductive harm. 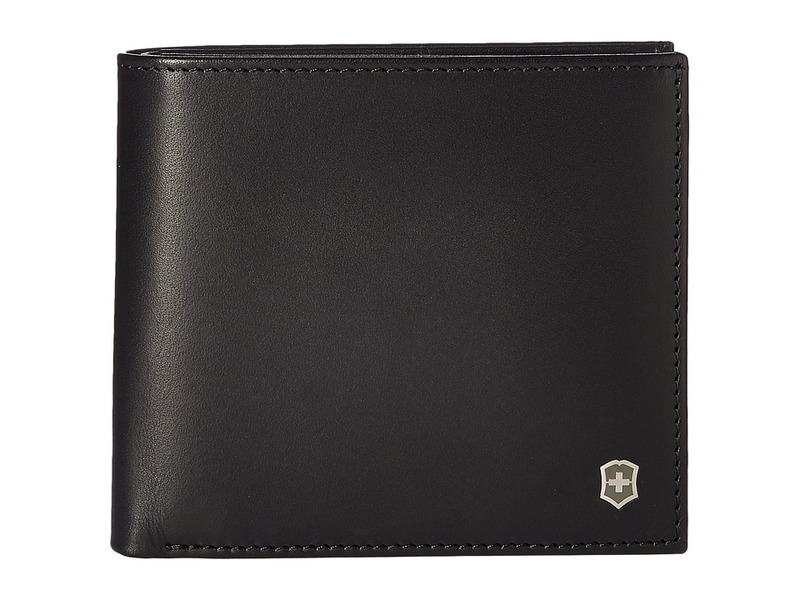 The Victorinox Altius Edge Appolonios Bifold Wallet with RFID is for the sleek, modern man with a taste for luxury and a need for top notch security. Wallet constructed high-quality vegetable tanned leather. Exterior features subtle branding. Mini, micro and standard SD card slot. A built-in RFID protective lining is covered by high-quality vegetable tanned leather and ensures your data is kept confidential no matter your geo-location. Bill compartment divider with business card holder. Brand engraved interior. Imported. Measurements: Bottom Width: 4 1 2 in Height: 3 1 2 in Weight: 1.6 oz Proposition 65 WARNING: This product contains chemicals known to the State of California to cause cancer and birth defects or other reproductive harm. Designed with the modern business traveler in mind, the Victorinox Altius Edge Pythagoras Deluxe Bifold Organizer with RFID will surely keep up with your fast-paced lifestyle! Made of smooth leather. Each card pocket features a 45 &amp#176 angle on the side to ensure effortless removal and insertion. RFID protective lining keeps credit card data safe and secure. Interior features a banknote compartment divider with business card holder, five credit card slots, and a coin compartment. Imported. Measurements: Top Width: 4 1 2 in Height: 4 in Weight: 2.6 oz Proposition 65 WARNING: This product contains chemicals known to the State of California to cause cancer and birth defects or other reproductive harm. 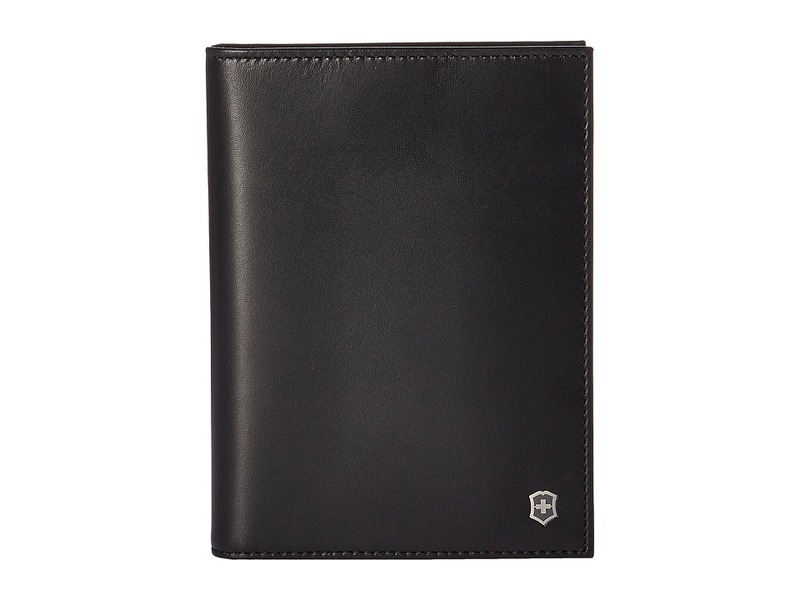 Keep your travel necessities conveniently packaged in sleek style with the Victorinox Altius Edge Leibnitz Passport Cover With RFID. Made of smooth veg-tanned leather. Features nine dedicated slots to store a photo ID and credit cards, as well as an elastic band to keep everything safely enclosed. 45 degree edges for seamless access to your cards. Mini, micro and standard SD card slots. Three side access slots. Imported. Measurements: Bottom Width: 4 1 2 in Height: 6 in Weight: 2.6 oz Proposition 65 WARNING: This product contains chemicals known to the State of California to cause cancer and birth defects or other reproductive harm. The Altius Edge Napier Money Clip w/ RFID is part of the Victorinox Altius 3.0 Collection. Convenient for front-pocket carrying of money and credit cards. Constructed of rich Napa leather for a sophisticated look. 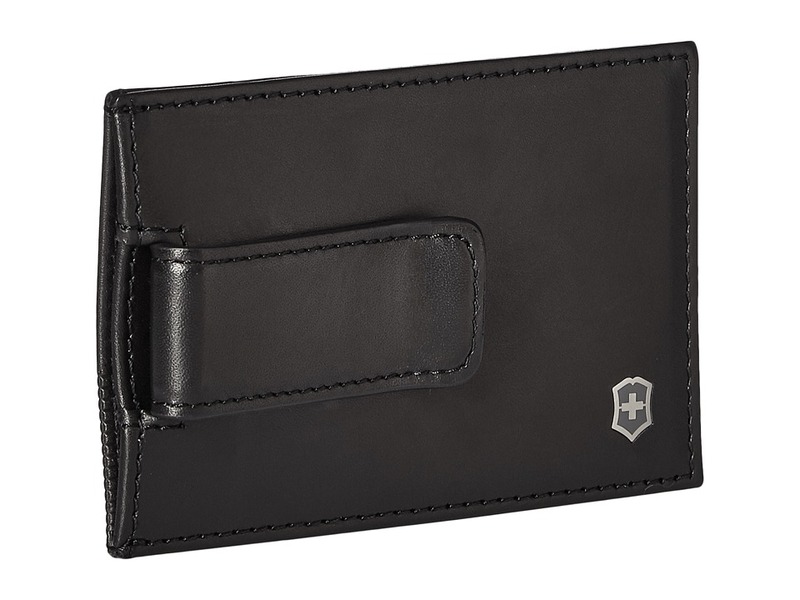 Features three credit card slots on one side and a money clip on the other. The 45 &amp#176 angle on the side of each card pocket inside lends it distinctive detailing. And the slimline and silent RFID lining protects your credit card data wherever your global adventures take you. Imported. Measurements: Bottom Width: 2 1 2 in Height: 4 in Weight: 1.2 oz Proposition 65 WARNING: This product contains chemicals known to the State of California to cause cancer and birth defects or other reproductive harm. 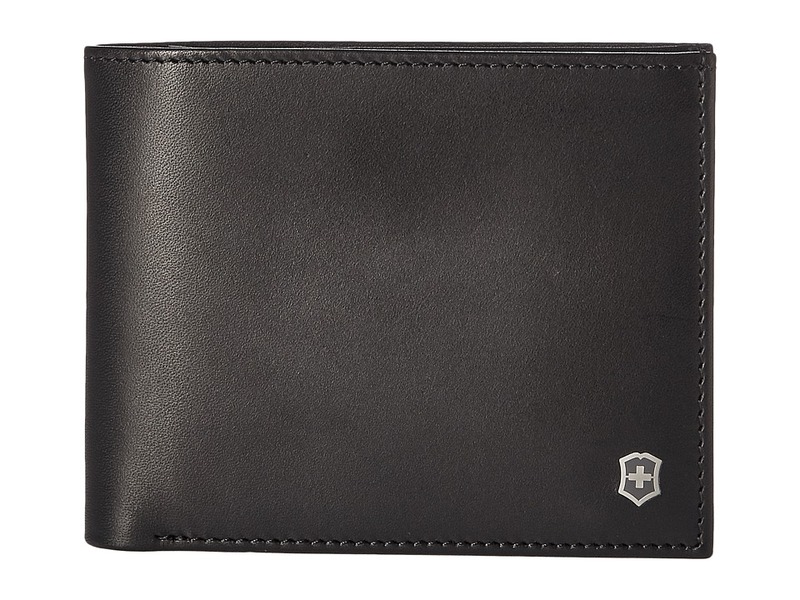 The Victorinox Altius Edge Fermat Bifold Wallet with Passcase RFID is not only stylish and sophisticated, he can keep up with all of your international trips as well accommodating many different size currency. Part of the Altius Edge Collection. Made of genuine leather. Detachable passcase. RFID protective lining keeps credit card data safe and secure. Mini, micro and standard SD card slot. Imported. Measurements: Bottom Width: 4 1 2 in Height: 3 1 2 in Weight: 3 oz Proposition 65 WARNING: This product contains chemicals known to the State of California to cause cancer and birth defects or other reproductive harm. When adventure is calling your name, look no further than the rugged yet practical styling of the Victorinox VX Touring Wheeled Global Carry-On. Made of polyester fabrics with water resistant coated polyurethane. 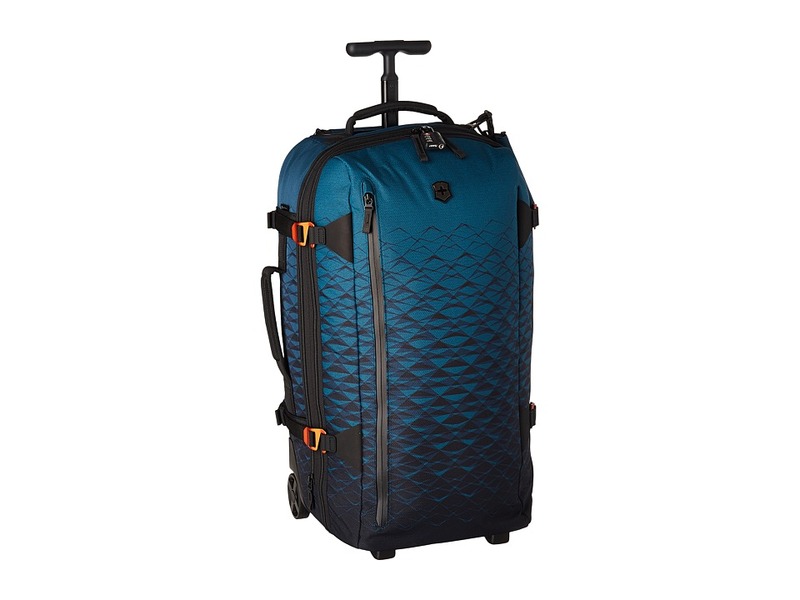 The lightest of the Victorinox wheeled carry on collection! U-Shaped zipper closure with expansion capabilities. Adjustable side compression straps with durable Hypalon attachments cinch to stabilize heavy loads. Ergonomic comfort grip handles with a one-touch, monopole handle system with ergonomic comfort grip locks into three different positions at 37, 39 and 41. Interior zippered mesh storage pocket and horizontal compression straps. Exterior features includes a padded front laptop pocket can accommodate up to a 15.6 inch laptop, a zippered quick access side pocket and two rear, wet pockets ideal for shoes, swim suits, or dirty clothes. Hypalon zipper pulls are lockable. Removable add-a-bag strap secures a second bag to the front of the duffel and holds up to 30 lbs. Products covered by the Global 10-Year Limited Warranty are guaranteed to be free from manufacturing defects in materials and workmanship for 10 years from the date of original purchase. Travel Sentry Approved combination lock. Imported. Measurements: Width: 14 1 2 in Depth: 8 1 2 in Height: 25 in Weight: 5 lbs 7 oz Proposition 65 WARNING: This product contains chemicals known to the State of California to cause cancer and birth defects or other reproductive harm. When adventure is calling your name, look no further than the rugged yet practical styling of the Victorinox VX Touring Wheeled Carry-On. Made of polyester fabrics with water resistant coated polyurethane. The lightest of the Victorinox wheeled carry on collection! U-Shaped zipper closure with expansion capabilities. Adjustable side compression straps with durable Hypalon attachments cinch to stabilize heavy loads. Ergonomic comfort grip handles with a one-touch, monopole handle system with ergonomic comfort grip locks into three different positions at 37, 39 and 41. Interior zippered mesh storage pocket and horizontal compression straps. 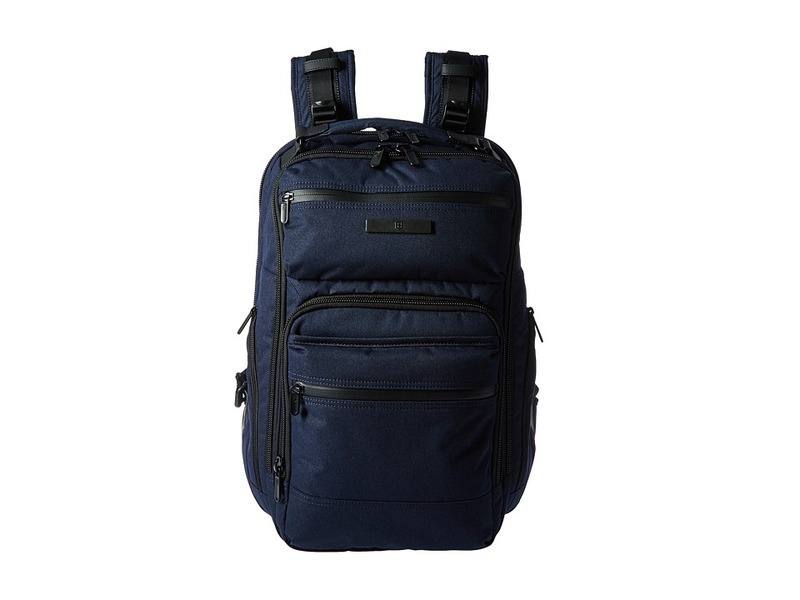 Exterior features includes a padded front laptop pocket can accommodate up to a 15.6 inch laptop, a zippered quick access side pocket and two rear, wet pockets ideal for shoes, swim suits, or dirty clothes. Hypalon zipper pulls are lockable. Removable add-a-bag strap secures a second bag to the front of the duffel and holds up to 30 lbs. Products covered by the Global 10-Year Limited Warranty are guaranteed to be free from manufacturing defects in materials and workmanship for 10 years from the date of original purchase. Travel Sentry Approved combination lock. Imported. Measurements: Width: 16 in Depth: 8 1 2 in Height: 23 in Weight: 5 lbs 11.8 oz Proposition 65 WARNING: This product contains chemicals known to the State of California to cause cancer and birth defects or other reproductive harm. When adventure is calling your name, look no further than the rugged yet practical styling of the Victorinox VX Touring Wheeled 2-in-1 Carry-On. Made of polyester fabrics with water resistant coated polyurethane. 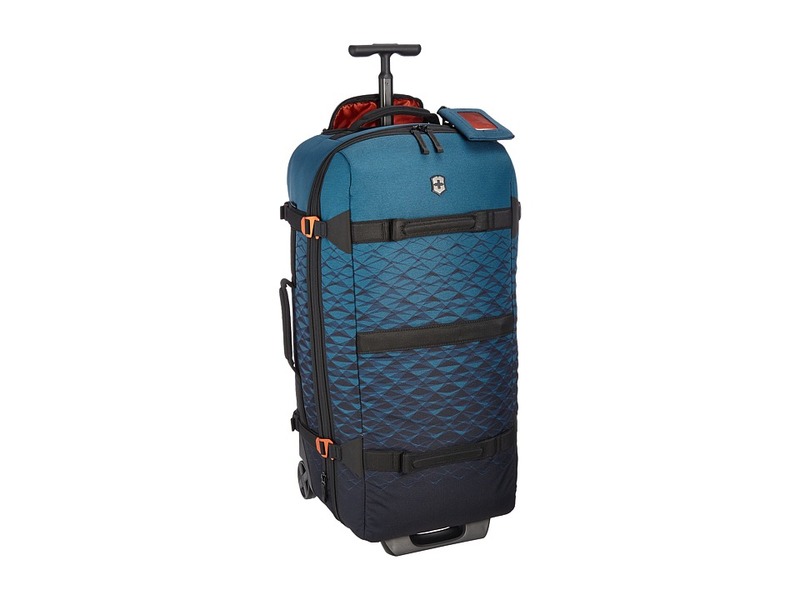 The lightest of the Victorinox wheeled carry on collection! U-Shaped zipper closure with expansion capabilities. Adjustable side compression straps with durable Hypalon attachments cinch to stabilize heavy loads. Ergonomic comfort grip handles with a one-touch, monopole handle system with ergonomic comfort grip locks into three different positions at 37, 39 and 41. Interior zippered mesh storage pocket and horizontal compression straps. Exterior features includes a padded front laptop pocket can accommodate up to a 15.6 inch laptop, a zippered quick access side pocket and two rear, wet pockets ideal for shoes, swim suits, or dirty clothes. Hypalon zipper pulls are lockable. Removable add-a-bag strap secures a second bag to the front of the duffel and holds up to 30 lbs. Padded, adjustable shoulder straps and adjustable sternum strap zips away into a back panel when not in use. Zip away panel covers wheels to keep your clothes clean while using bag as a backpack. Products covered by the Global 10-Year Limited Warranty are guaranteed to be free from manufacturing defects in materials and workmanship for 10 years from the date of original purchase. Travel Sentry Approved combination lock. Imported. Measurements: Width: 14 1 2 in Depth: 9 1 2 in Height: 22 in Weight: 6 lbs 3.8 oz Proposition 65 WARNING: This product contains chemicals known to the State of California to cause cancer and birth defects or other reproductive harm. You have an adventurous spirit, but you also enjoy the finer things in life. The VX Touring Wheeled Duffel Medium from Victorinox fits all of your needs perfectly in one smart package. Made of polyester fabrics with water resistant coated polyurethane. 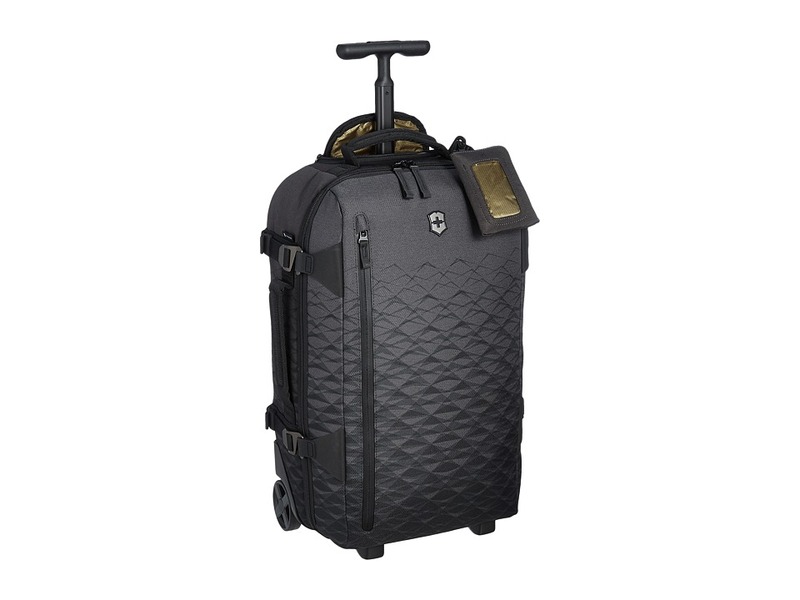 The lightest of the Victorinox wheeled carry on collection! U-Shaped zipper closure with expansion capabilities. Adjustable side compression straps with durable Hypalon attachments cinch to stabilize heavy loads. Ergonomic comfort grip handles with a one-touch, monopole handle system with ergonomic comfort grip locks into three different positions at 37, 39 and 41. Interior zippered mesh storage pocket, Y-shaped webbing compression straps, a large zippered mesh lid pocket and a zippered mesh side pocket containing a key fob and slip pockets. Exterior features includes a padded front laptop pocket can accommodate up to a 15.6 inch laptop, a zippered quick access side pocket and two rear, wet pockets ideal for shoes, swim suits, or dirty clothes. Features a removable luggage tag. Rear skid plate provides protection to areas most prone to damage. Hypalon zipper pulls are lockable. Removable add-a-bag strap secures a second bag to the front of the duffel and holds up to 30 lbs. Inline wheels for the smoothest glide. Products covered by the Global 10-Year Limited Warranty are guaranteed to be free from manufacturing defects in materials and workmanship for 10 years from the date of original purchase. Travel Sentry Approved combination lock. Imported. Measurements: Bottom Width: 16 in Middle Width: 16 in Top Width: 14 1 2 in Depth: 10 in Extended Depth: 10 1 2 in Height: 26 1 2 in Handle Length: 10 1 2 in Handle Drop: 1 1 2 in Weight: 6 lbs 5.6 oz Proposition 65 WARNING: This product contains chemicals known to the State of California to cause cancer and birth defects or other reproductive harm. You have an adventurous spirit, but you also enjoy the finer things in life. The VX Touring Wheeled Duffel Large from Victorinox fits all of your needs perfectly in one smart package. Made of polyester fabrics with water resistant coated polyurethane. 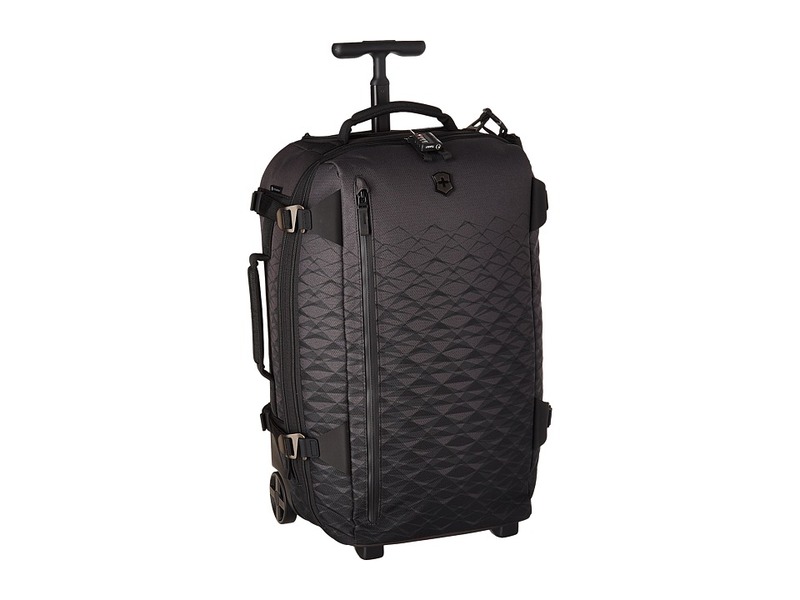 The lightest of the Victorinox wheeled carry on collection! U-Shaped zipper closure with expansion capabilities. Adjustable side compression straps with durable Hypalon attachments cinch to stabilize heavy loads. Ergonomic comfort grip handles with a one-touch, monopole handle system with ergonomic comfort grip locks into three different positions at 37, 39 and 41. Interior zippered mesh storage pocket, Y-shaped webbing compression straps, a large zippered mesh lid pocket and a zippered mesh side pocket containing a key fob and slip pockets. 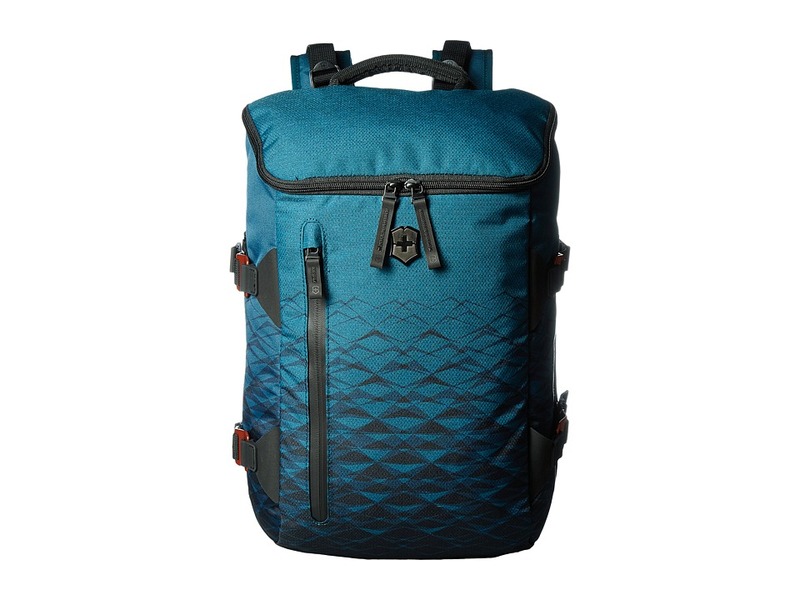 Exterior features includes a padded front laptop pocket can accommodate up to a 15.6 inch laptop, a zippered quick access side pocket and two rear, wet pockets ideal for shoes, swim suits, or dirty clothes. Features a removable luggage tag. Rear skid plate provides protection to areas most prone to damage. Hypalon zipper pulls are lockable. Removable add-a-bag strap secures a second bag to the front of the duffel and holds up to 30 lbs. Inline wheels for the smoothest glide. Products covered by the Global 10-Year Limited Warranty are guaranteed to be free from manufacturing defects in materials and workmanship for 10 years from the date of original purchase. Travel Sentry Approved combination lock. Imported. Measurements: Bottom Width: 15 2 5 in Depth: 11 2 5 in Extended Depth: 12 3 5 in Height: 28 3 10 in Handle Length: 9 in Handle Drop: 2 in Weight: 6 lbs 14.4 oz Proposition 65 WARNING: This product contains chemicals known to the State of California to cause cancer and birth defects or other reproductive harm. You have an adventurous spirit, but you also enjoy the finer things in life. The VX Touring Wheeled Duffel Extra-Large from Victorinox fits all of your needs perfectly in one smart package. Made of polyester fabrics with water resistant coated polyurethane. 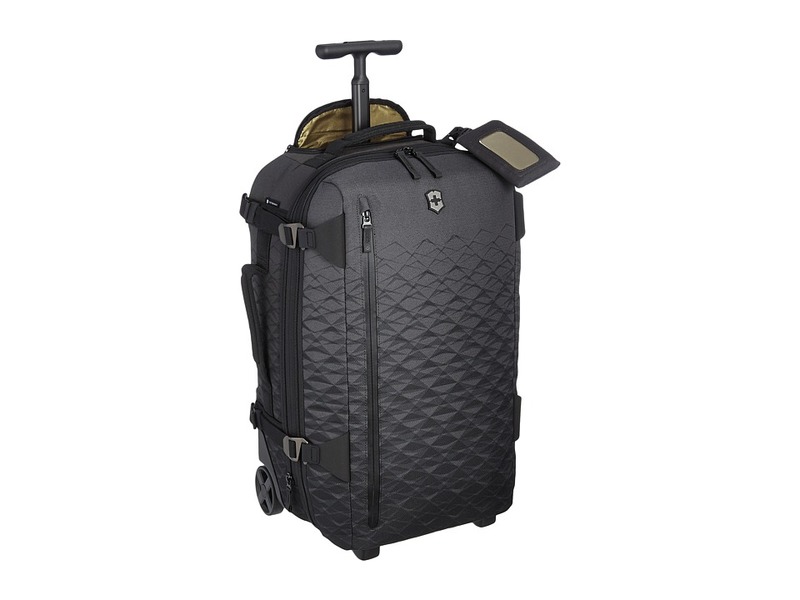 The lightest of the Victorinox wheeled carry on collection! U-Shaped zipper closure with expansion capabilities. Adjustable side compression straps with durable Hypalon attachments cinch to stabilize heavy loads. Ergonomic comfort grip handles with a one-touch, monopole handle system with ergonomic comfort grip locks into three different positions at 37, 39 and 41. Interior zippered mesh storage pocket, Y-shaped webbing compression straps, a large zippered mesh lid pocket and a zippered mesh side pocket containing a key fob and slip pockets. 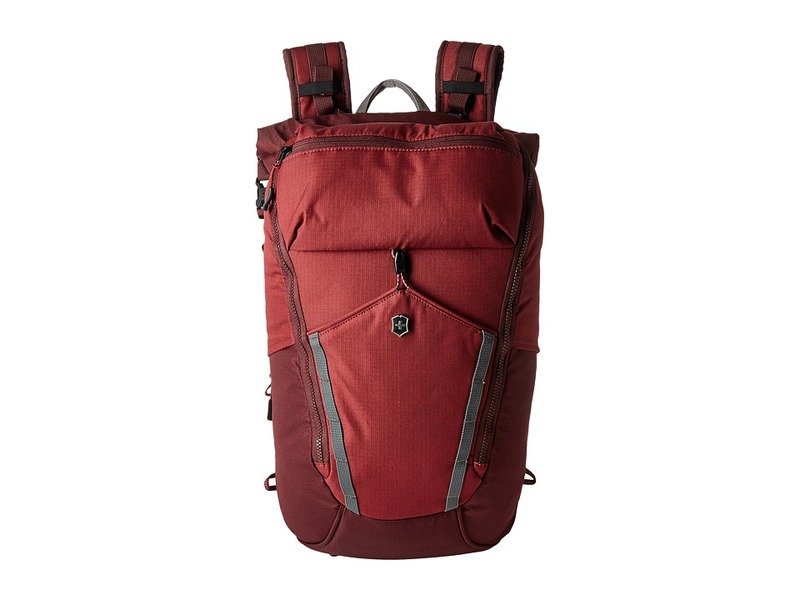 Exterior features includes a padded front laptop pocket can accommodate up to a 15.6 inch laptop, a zippered quick access side pocket and two rear, wet pockets ideal for shoes, swim suits, or dirty clothes. Rear skid plate provides protection to areas most prone to damage. Hypalon zipper pulls are lockable. Removable add-a-bag strap secures a second bag to the front of the duffel and holds up to 30 lbs. Inline wheels for the smoothest glide. Products covered by the Global 10-Year Limited Warranty are guaranteed to be free from manufacturing defects in materials and workmanship for 10 years from the date of original purchase. Travel Sentry Approved combination lock. Imported. Measurements: Bottom Width: 15 in Middle Width: 17 1 2 in Top Width: 15 in Depth: 12 1 2 in Extended Depth: 13 in Height: 34 1 2 in Handle Length: 8 in Handle Drop: 1 1 2 in Weight: 8 lbs 2.4 oz Proposition 65 WARNING: This product contains chemicals known to the State of California to cause cancer and birth defects or other reproductive harm. You~re a global business traveler, you value a quality piece of craftsmanship. 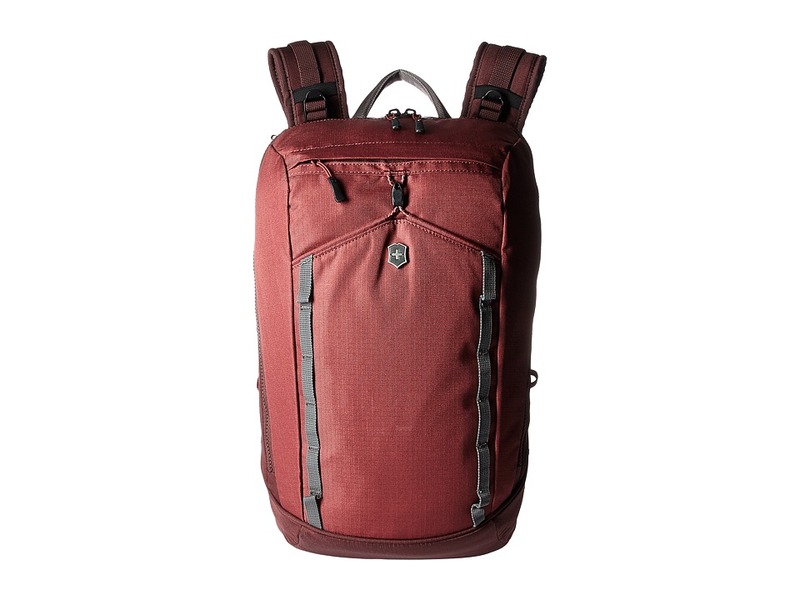 The Victorinox VX Touring Laptop Backpack was cleverly designed with your work and life balance in mind. This pack boasts enough room for your business essentials and more. Constructed from durable polyester material in a subtle print inspired by the beauty of nature with a water resistant coating. Zipper closure. Lockable zippers. Soft-grip grab handle at top. Padded back panel is comfortable enough for all day wear and features a slide through strap that allows you to securely attach your backpack to the trolley handle of your rolling luggage. Adjustable, padded backpack straps feature an adjustable sternum strap. Front vertical zip pocket. Side zip entry. Padded rear laptop compartment can accommodate up to 15 laptop. Adjustable side compression straps. Interior features a lid pocket and a two side stretch pockets perfect for water bottles or shoes. Imported. Measurements: Bottom Width: 31 in Depth: 19 in Height: 46 in Strap Length: 38 in Strap Drop: 18 in Handle Length: 1 1 2 in Handle Drop: 8 in Weight: 2 lbs 5.4 oz Proposition 65 WARNING: This product contains chemicals known to the State of California to cause cancer and birth defects or other reproductive harm. Whether your adventure takes you to the outskirts of society or through the subway. The urban utility of the Victorinox Altmont Active Deluxe Duffel Laptop Backpack can keep up with the pace of your busy lifestyle. Construed from durable polyester. Reverse roll top that snaps securely. Compression-molded back panels and shoulder straps. Secure sternum strap. Bottle opener on shoulder straps. Gear loops, daisy chains and cord system. Padded laptop compartment features a side entry with lockable zippers. Two stretch side pockets ideal for an umbrella or a water bottle. Two front facing grab straps. Imported. Measurements: Bottom Width: 11 in Middle Width: 11 in Top Width: 16 in Depth: 7 in Height: 23 in Handle Length: 6 1 2 in Handle Drop: 2 in Weight: 1 lb 8 oz Proposition 65 WARNING: This product contains chemicals known to the State of California to cause cancer and birth defects or other reproductive harm. Designed with your day to day in mind, the Victorinox Altmont Active Rolltop Laptop Backpack is the end of your backpack struggles. 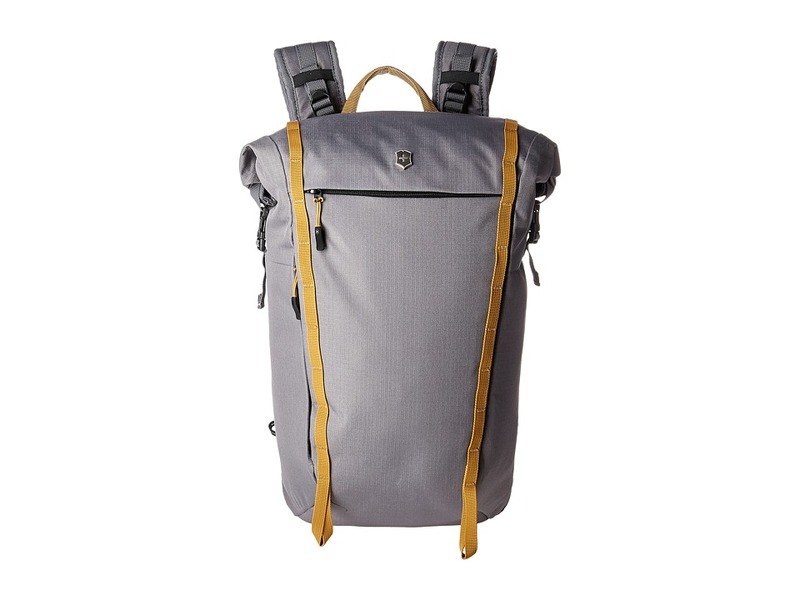 This piece of modern ingenuity will take the place of you work brief, your trail pack, and your gym bag! Made from durable polyester. Rear panel secures your 15 laptop and features rolltop closure with buckle snaps. Compression-molded back panel and compression-molded, adjustable shoulder straps feature load-lifter pulls for your heavier days. With an added adjustable sternum strap evenly distributes weight. Backpack straps feature a metal bottle opener. Mesh side panels with rain flaps allow air flow to main compartment. Exterior features three zippered pockets and a quick-access stash pocket. Main compartment features organizational pockets and file compartments. Gear loops, daisy chains and cord system. Imported. Measurements: Bottom Width: 11 in Middle Width: 11 in Top Width: 16 in Depth: 7 in Height: 23 in Handle Length: 6 1 2 in Handle Drop: 2 in Weight: 1 lb 8 oz Proposition 65 WARNING: This product contains chemicals known to the State of California to cause cancer and birth defects or other reproductive harm. Designed with your day to day in mind, the Victorinox Altmont Active Deluxe Rolltop Laptop Backpack is the end of your backpack struggles. This piece of modern ingenuity will take the place of you work brief, your trail pack, and your gym bag! Made from durable polyester. Rear panel secures your 15 laptop and features rolltop closure with buckle snaps. Compression-molded back panel and compression-molded, adjustable shoulder straps feature load-lifter pulls for your heavier days. With an added adjustable sternum strap evenly distributes weight. Backpack straps feature a metal bottle opener. Mesh side panels with rain flaps allow air flow to main compartment. Exterior features three zippered pockets and a quick-access stash pocket. Two side water bottle pockets. Main compartment features organizational pockets and file compartments. Gear loops, daisy chains and cord system. Imported. Measurements: Bottom Width: 11 in Depth: 7 in Height: 20 in Handle Length: 7 in Handle Drop: 2 1 4 in Weight: 1 lb 14.8 oz Proposition 65 WARNING: This product contains chemicals known to the State of California to cause cancer and birth defects or other reproductive harm. Whether your adventure takes you to the outskirts of society or through the subway. The urban utility of the Victorinox Altmont Active Compact Laptop Backpack can keep up with the pace of your busy lifestyle. Construed from durable polyester. Reverse roll top that snaps securely. Compression-molded back panels and shoulder straps. Secure sternum strap. Bottle opener on shoulder straps. Gear loops, daisy chains and cord system. Padded laptop compartment features a side entry with lockable zippers. Imported. Measurements: Bottom Width: 10 in Middle Width: 10 in Top Width: 10 in Depth: 4 1 2 in Height: 18 1 4 in Handle Length: 7 in Handle Drop: 2 1 4 in Weight: 1 lb 4 oz Proposition 65 WARNING: This product contains chemicals known to the State of California to cause cancer and birth defects or other reproductive harm. Long gone are the days in which you need a separate backpack for each one of your interests and activities. The Victorinox Altmont Classic Deluxe Flapover Laptop was designed with your busy life in mind, this pack is sophisticated enough for the office, rugged enough to hit the trails, and sleek enough to keep up your fashion-forward campus look. Constructed from durable polyester. Designed to bear heavy loads, the Altmont Classic features adjustable padded, air mesh shoulder straps that are webbing reinforced. Fold-over flap closure with secure buckle snaps. Padded rear, lockable compartment accommodates up to a 15 laptop. Dual-zippered flap-down opening allows you the ultimate packing experience. Water-resistant zippers. Original Swiss Army Knife multi-tool with bottle opener and screwdriver. Front storage pocket with electronics-friendly magnetic closure. Base with abrasion-resistant coating. Imported. Dimensions: 5.5 x 11.4 x 16.5 in Measurements: Bottom Width: 11 5 12 in Depth: 4 5 7 in Height: 16 13 14 in Handle Length: 7 1 4 in Handle Drop: 1 2 in Weight: 1 lb 12.2 oz Proposition 65 WARNING: This product contains chemicals known to the State of California to cause cancer and birth defects or other reproductive harm.